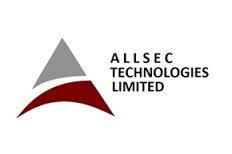 Allsec Technologies Walkin Drive | International Voice Process Jobs | 20th June to 22nd June 2017. Allsec Technologies is inviting applications from graduate students. 2017 pass out freshers are eligible to attend for Allsec Walkin Drive. Aspirants must have minimum 60% aggregate along with excellent communication skills. Job seekers who are interested in getting place in Associate, Senior Associate – (NonTechnical) Jobs in Chennai can attend for Allsec Careers. Most of the candidates completed their academics with good aggregate and some of them are lacking in programming skills. With out communication and analyzing skills candidates will not be able to attend any Interviews. Contenders should have the ability to handle calls from global customer & Clients and Provide remote solutions to issues that have been raised. In this article, we are providing sample Allsec Interview questions and Allsec Syllabus. By preparing according to Allsec Model Papers will make sure that candidate face the competition easily. Job seekers who are going to appear for Allsec Jobs in Chennai can check the details which are provided in the below section. So we suggest the candidates do more practice with the full effort it will help you for getting the good score in the test. Keep on visiting All India Jobs for more regular updates and bookmark this page for future reference. Mega Walkin Interview for International Voice Support. If you wish to build your career in Allsec, kindly walkin with your updated Resume. Job Title: International Voice Process Customer Support. Deal with a wide range of potential information & database. Customer support for International clients. Handle calls from global customer & Clients and initiate the right response to them, positively and professionally. Provide remote solutions to issues that have been raised. 5 days working with Cab & Food Facility. Job Timings: As Per Process. Any regular graduates in any discipline, with minimum 15 years of education, even 2017 Passed out candidates. Allsec Technologies is a company with presence across India and enabled services in India, the United States, United Kingdom, and internationally. Allsec Technologies is a company providing web development, strategic teleservices, web design, customer care, search engine optimization, and quality management services. It also provides data verification, processing orders received through telephone calls, telemarketing, monitoring quality of calls, and customer services. Its clients include Genpact, Accenture, Wells Fargo etc. We hope this page will give the clear information about Allsec Technologies Recruitment 2017. For further details applicants can check the official notification to avoid further complications. Candidates who had completed Graduation can attend for Allsec Technologies Walkin Recruitment Drive from 20th June to 22nd June 2017 in Chennai. Land Mark: Near Velachery Bus stand.